If you’ve been suffering from health symptoms since you had a smart meter attached to your home and others are telling you it’s just your imagination—take heart: there is clear evidence stating that smart meter dangers are real. The conclusions of independent research are that safety standards of the Federal Communications Commission (FCC) are woefully insufficient for guarding people against smart meter radiation levels—and that some installations of smart meters don’t even comply with those inadequate standards. To begin with, FCC standards, set back in 1996, were based on studies with models of healthy 6’2”, 220 lbs men exposed for short periods of time to wireless radiation. This, of course, is not even relevant in today’s world, in which women, children and people in poor health are continuously exposed to the radiation from many different sources. But perhaps most importantly, the FCC only tested for thermal damage—and the health risks independent researchers are finding today are from non-thermal radiation. Also, other sources of radiation (such as Wi-Fi, cell phones, and other wireless devices, all present in today’s homes) were not present in the testing sessions with radiation. For all these reasons, the report strongly cautions that smart meters are not safe. It further states that the installation is irresponsible and calls not only for a moratorium on installation, but also immediate relief to those requesting it, including the return of analog meters. 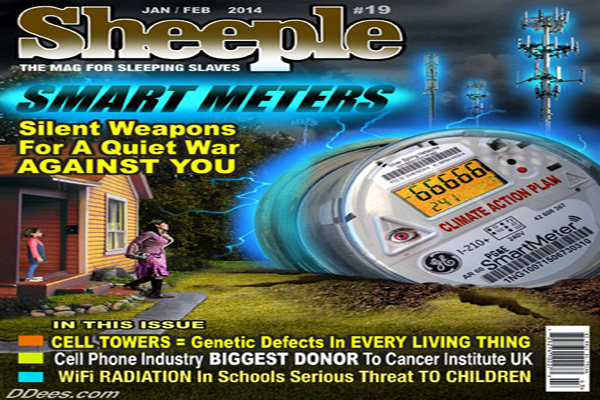 Certain groups of people are especially vulnerable to smart meter radiation dangers: children (who absorb radiation at a greater rate than adults), people with electromagnetic sensitivity, people wearing pacemakers, and chronically or acutely ill people whose immune systems are compromised. There are no warnings about health dangers that come with the installation of a smart meter. In some areas, it’s now possible to opt out—usually for a monthly fee. But you may not wish to pay this fee. Or you may be faced with living near a whole bank of smart meters on your building or next door, so opting out won’t do you much good. What makes sense is to simply get EMF protection. Check out EarthCalm’s solution for protecting yourself against smart meter dangers.